Accutype Services was formed in 1983 and has rapidly expanded from a small team into the well-developed transcription company it is today. Accutype Services operates efficiently, with a medical transcriptionist team based across the US and very proud to say that all work is done in the United States of America. Nothing is sent overseas! 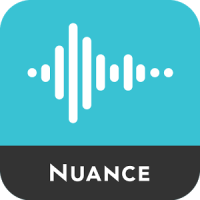 Together with our technology partner EMDAT, now a part of Nuance Communication, Accutype can provide a HIPAA-Compliant, flexible, seamless and cost-efficient web-based solution to fully manage dictation and transcription data delivery and storage process. If you need assistance making your doctors happy, we are always here to help. Don’t hesitate to contact us; we’d love to get involved in your success!